Douglas Bond's book "Mr Pipes and the British Hymn Makers," originally published in 1999, is a story about stories. Stories about hymn writers like Isaac watts, Charles Wesley, John Newton, William Cowper, and John Bunyan. Stories that show the outpouring of praise from a forgiven heart towards their Maker. 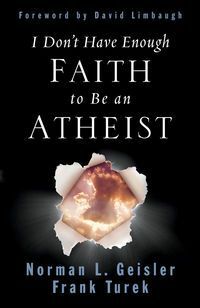 The book, published through Christian Liberty Press, was recently re-released in a PDF format, (available here for $8.79) making it available to people worldwide, to read on their computers or tablets (iPad, Nook, Kindle, etc.) The only drawback I saw to reading it on the computer (as apposed to the print version, $9.89 here) is the difficulty of seeing the illustrations (done by Ron Ferris) without scrolling the screen. If you read it on your tablet, I'm sure you could adjust the settings to correct this issue. They are cute illustrations, and do add to the book, giving a view of English life and buildings unfamiliar to many American city-dwellers. Mr. Pipes and the British Hymn Makers is the story of two American children, a brother and a sister, Drew and Annie, who are staying in a small town in the British countryside for the summer while their mother is there on business. One day while exploring they find the town’s old church and an old gentleman inside playing the pipe organ. The old gentleman, because of this, is called Mr. Pipes. Over the chapters, and days, that follow, the children learn from Mr. Pipes about British hymn writers and their lives. They learn about a different hymn writer in each chapter, but refer back to the previous hymn writers a lot. They talk about how their hymns affected the next hymn writer. They talk about how words like wretch and worm come up a lot in the hymns because the writers understood how sinful they had been. The children have many adventures with Mr. Pipes while they are learning about the different hymn writers. The adventures vary from learning to row and sail Mr. Pipes’ little fishing boat, named Toplady, to going to London by train for a day, to having tea. They have a wonderful time and learn about how God changes the lives of all sorts of people. Each chapter includes the lyrics and sheet music to at least one of each hymn writer’s well known songs. 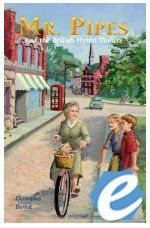 Emily and I talked about the book, and it reminded me about a book I have about Hymn stories (written for adults.) One major difference is that "Mr Pipes" introduces the writer and their story first, then highlights one or two of their more well known hymns, whereas many hymn history books focus almost soley on the hymn & the brief time of the writer's life when it was written. When we talked about who to recommend this book to, Emily had some great insights. While it would work wonderfully for a family read-aloud, she pointed out that the younger listeners would enjoy the story, but probably miss some of the significance of the writer's personal relationship with God, and their inspiration. As a self-read, Emily would suggest a minimum of 3rd grade, but Jr. High and older would be better because of the understanding of struggles the writer's were facing, both from within and without. She also pointed out that it takes a while to get into the story, so not to just read the first chapter and quit because you might not be a fan of Drew and Annie at first. Christian Liberty Press recommends it for grades 7-10. At 242 pages, the PDF version has a lot in it. Read about British (& Scottish) hymn writers, learn some history, print out the sheet music and give it a try. Perhaps you and your children will be inspired to write some hymns of your own, or at least spend some time worshipping God through music. As members of the TOS Crew, we were provided with the PDF format of the book free of charge, in exchange for an honest review. All opinions are ours. If you’ve already used SpellingCity.com and like it, you may be wondering why you’d want to pay for a premium membership. Well, allow me to tell you about a few of the premium package features. First, the premium membership includes Vocabulary, making it VocabularySpellingCity.com. Would you like to keep track of your children’s test results, and track their progress? These features are available on the premium membership, which only costs $29.99 a year for a family of up to 5 students. The individual logins and passwords make keeping track of each student’s progress a breeze. We try to limit the amount of time our girls spend on the computer, but VSC is a good use of their time. Even on words they already know, it’s good to review. I appreciated the ability to import spelling lists OR choose from common word lists they already had available. Yes, you guessed correctly, I used the pre-made lists, I’m a busy Mom. I also appreciated the support staff at VSC. Even when you write them down, sometimes login information gets lost. When that happened to us, they sent a reset password to my email right away, and when I had a more complicated question, they responded via e-mail the following morning. Vocabulary & Spelling City is a online spelling program geared for elementary students to improve on and test their spelling and vocabulary. It has spelling and vocabulary lists, tests and fun spelling and vocabulary related games to help them. As a parent, you can look up your child’s school and teacher and find list that they have put there for your child to use. Or you can put your own list on to have your children use. It’s fun and effective and your children will improve in their spelling and vocabulary. Emily is 14, and sometimes thinks she shouldn’t need to do anything with Spelling, but I find she spells better after some review time on VSC. It also gives her some time on the computer where she doesn’t need to share with her sister. Overall, VocabularySpellingCity is a good use of your time and money. There is a learning curve for the parent/ teacher, but they have lots of short instructional videos to watch that explain how to use each feature, and with the premium membership, they offer phone support. They also offer plans for classroom use ($49.99/year for up to 25 students, and a bigger plan for larger classrooms or whole school use,) so if you’re a teacher looking to help your students, this could be the answer you’ve been looking for. 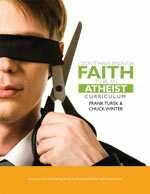 The “I Don’t Have Enough Faith to be an Atheist” curriculum was written to go with the book “I Don’t Have Enough Faith to be an Atheist” originally written in 2004 by Norman L. Geisler and Frank Turek. The study guide was drafted by Chuck Winter and finished by Frank Turek, one of the original authors, in memory of Chuck Winter who died soon after the first draft. Look: this section has things to do like research papers. Took: this section summarizes what you learned in the chapter. No. If there is no God you live you die. There is no point to live and then die, no special goal to live for. If there is a God then there is a heaven, something to look forward to when you die. Unfortunately, if there’s a heaven then hell is real too. Conclusion: even though God is real, if you don’t live for him its pointless. Wow, what more encouraging thing can you say about a book & study guide than that conclusion? If you don't live for God, life is pointless. Are you praying your children learn that lesson, or are you needing to learn it yourself? Grounding our faith in the truth we find in God's Word is of utmost importance to our daily walk, but adding an understanding of how to communicate our faith to others is of importance to their daily walk (& their eternal destinies.) My husband and I are of the opinion that any book from Norman Geisler is a good one. So we were excited about a workbook to go along with 'IDHEF.' (Find the book here.) We gave it to Arlene to use during her morning study time, (with some reluctance from Dad, because I think he wanted to read the book!) and she got right to it. This book followed her around the house, which doesn't usually happen with non-fiction books, and she spent quality time reading & answering the questions. Now that she's done a few chapters, we have more to discuss. We want our children to be able to defend their beliefs, and hold fast to them in the future, whatever comes. Faith in Jesus has to become their own, not just something they parrot because it's what Dad & Mom say and do. How are your children doing on that transition to make a personal choice for Jesus? Help them with this walk, don't expect them to go it alone, the pull of the world is very strong, they need good, solid roots to stay grounded in Jesus. One of the parts I liked about the study guide is the series of "mini-biographies" scattered throughout. Who are these scientists, philosophers & social leaders who have impacted the world? What were their worldviews and how did those views affect their work & lives? How did the belief or absence of a belief in God as Creator affect Carl Sagan, David Hume, Edwin Hubble, and Isaac Newton? Do you wish you knew? (Buy the book & study guide to find out!) Find the workbook here. Invest some time and money in defense of your own faith. At $33, the study guide is truly an investment, but a worthy one. What will you say the next time a fellow student or co-worker asks you "Why are we here?" Be prepared, study, learn, and trust God for the words He wants shared. Remember that key verse from AWANA- 2 Timothy 2:15? "Do your best to present yourself to God as one approved, a workman who does not need to be ashamed and who correctly handles the word of truth." This is that kind of work, one that edifies your faith and allows you to correctly discuss God's truth with those around you. Then you too can be ready as 1 Peter 3:15 tells us: "But in your hearts set apart Christ as Lord. Always be prepared to give an answer to everyone who asks you to give the reason for the hope that you have. But do this with gentleness and respect." Don't be afraid to share your faith. Don't live a pointless life. As members of the Crew, we were provided with the book and study guide free of charge, in exchange for an honest review. All opinions are ours. This Week in History is what many people refer to as a ‘cross-curricular’ resource. If you’re not familiar with that term, please allow me to try and explain. It means having the student (of whatever age) learn about more than one ‘academic discipline’ at a time. If you’ve heard the term ‘Unit Study’ then you probably understand it already. If you want to study Annie Oakley, instead of just reading a paragraph from a history textbook, you might: read a biography, look up on the map where she was born, lived, and died, search online for pictures of Annie, read up on how a rifle gets its rifling, (and why that’s important,) and research to find out what life was like in the US in the 1870’s. For $9.99 a month you can get more than a whole month’s worth of inspiration and links to activities, books, and websites each week. Yes, you read that right, you’re getting a whole lot more to choose from than most families would ever do in a week, or a month, so you can pick the ones of most interest to you. We’ve enjoyed the weekly layout, because it seems a more manageable amount to choose from than if it were listed by month. I mean, after all, we’re busy people and I enjoy being able to just pick what suits our fancy at the time. It’s fun to scroll down the list each week as a family and discuss who the people are that are having ‘birthdays’ that week. some of them we recognized, like Nicola Tesla and Annie Oakley, some we did not. You may decide that textbooks are getting stagnant and want to change things up, or you may be unit study type at heart. Either way, find some inspiration to do something different tomorrow, or Saturday, or next Tuesday. The when isn’t as important as the doing. 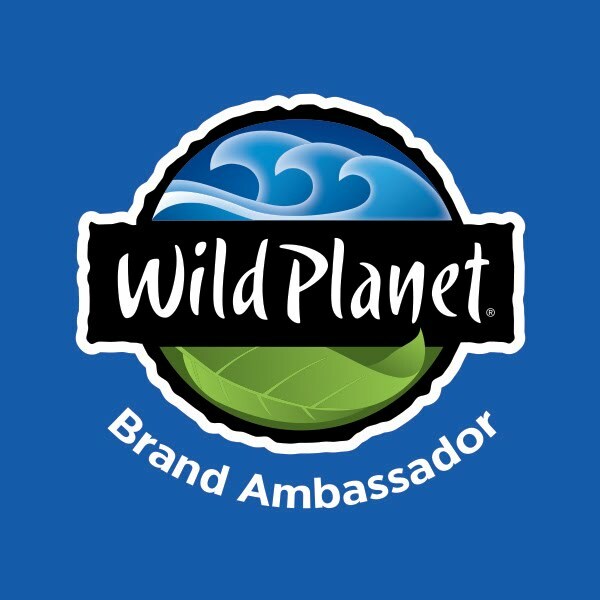 Even if you can’t afford the TWIH feature, go visit the website: www.tjed.org you’ll be encouraged you did! If the ideals presented there resonate with your family’s mission, you’ll know what to ask for when Grandpa asks what you want for Christmas! I also want to take a minute to encourage you to read Oliver DeMille’s book “A Thomas Jefferson Education- Teaching a Generation of Leaders for the Twenty-First Century.” I purchased the book at a Classical Conversations seminar I attended back in March. The book resonated with our desires for our children’s education, and prompted me to want to review the TWIH because I had seen the benefit available to us as a family when we learn together. Don’t just send your kids to school, or do ‘school at home,’ give your children the opportunity for a real, lasting education. Read the book, visit the website, down the road your children will thank you that you did! 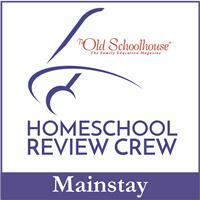 As a reviewer for the TOS Crew, I was granted free access to the weekly TWIH feature in exchange for an honest review. All opinions are mine. Note: I bought the book myself. 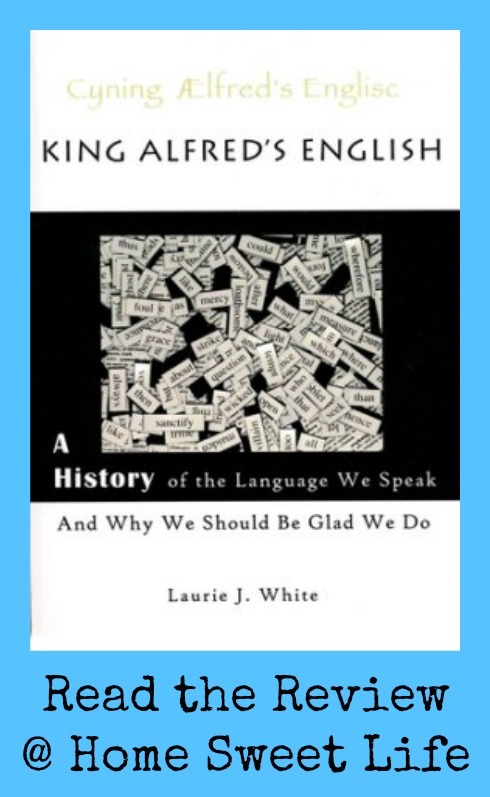 This is a book about the history of Great Britain, and a book about the history of the English language, and how the two grew, were invaded multiple times, and both ended up better at the end than at the beginning. The story begins with Julius Caesar's invasion of Britain in 55 BC. 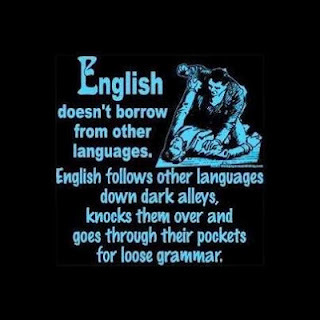 It travels a long, winding path through British history (because it is rather amazing that Britain and the English Language even survived! 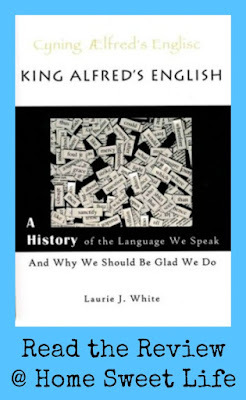 ), tells you more about King Alfred and his vision for Britain, and travels through many wars, invasions, and language pick-pockets. Alfred was the fourth son of the King, a student and a warrior, and he was prepared to face all the devastation that arose around him. It took seven years of war after he ascended to the throne, but his leadership preserved Wessex and united Britain. I enjoyed Laurie's division of the English language into Old, Middle, transitional, and Modern English. I particularly liked the part about Shakespeare...oh that I could write like that! Really- you need to at least read chapter 14 if you don't read any other part of this book. You can download the Kindle version for only $5.95. Ok, so WHY did I like the book? Well, many reasons worked together to make this a great time for me to read about our language. We're getting ready to begin studying Latin this fall, and the book talks about the many ways & times Latin has influenced our language. It was also encouraging to learn that since Latin is a "dead" language (no one speaks it as their native tongue anymore,) it won't change while we're learning it! I've been blogging for a while, and it was interesting to learn about how languages shift (and simplify) over time as they are spoken. The correlations shown in the book between Anglo-saxon, Old Norse, and Latin words re-emphasized why many words have the same sign in American Sign Language, because they really DO all mean the same thing. That is encouraging to my ongoing study of ASL. So who would I recommend this to? I would say High School and above. It could be understood by most 12-13 year olds, but I don't think they would enjoy it as much as I did. The book should be enjoyed by anyone who is learning a foreign language at the High School level or above, or who loves reading about history, or wars...it really is a page-turner! This book gave me a greater appreciation for the struggle I see foreigners going through as they learn English. Our "rules" are more like "suggestions!" It also helped me realize just how great our brains are that we can learn a difficult syntax just by growing up with parents and people around us who speak English daily. While I was in the midst of reading, one of my friends posted this picture about English on their fb page. Reading the book has taught me just how true it is! So Moms, read the book, and appreciate how hard your children are working to learn the English language. Dads, read the stories of wars & heroism to your children. Teach then about standing up for their beliefs. Students, read the book, and you'll see that learning Latin, French, German, or Spanish is really not that hard in comparison to the English you've already learned. As a member of the TOS Crew, the e-book version was provided to me free of charge, in exchange for an honest review. All opinions are mine. If I asked ten of you what the word "August" brings to mind, I would probably get ten different answers. A lot of that variation stems from our childhoods. Your family may have been the one that always went camping every August, while another family probably spent a week each August helping Grandma can vegetables from her garden. So whether you're thinking beach, back-to-school sales, or organizing the garage, let me suggest another association for "August." We live in such a fast-paced world that the 5th of July signals the beginning of school shopping, and the day after Labor Day brings out turkeys and Christmas lights. Let's take this month and remind ourselves to revel in summer. Now you may be thinking, "but my children are already back in school" or "I need to take our winter coats to the cleaner's!" Slow down, I'm not saying to be irresponsible, I'm simply reminding you to take some time and make a few summer memories for this year. I too have a to-do (or a want-to-do) list for this month, but I'm not going to let the list rob me of time spent with our family, enjoying the sunshine and blue skies! Noah Webster began his dictionary entry of "summer" thusly: "With us, the season of the year comprehended in the months of June, July, and August;..." He described "Reveling" as "A feasting with noisy merriment; revelry." So, who wants to join me for some feasting with noisy merriment for the rest of the month??? I'm not just talking about eating, I'm talking about enjoying life. Feast your eyes on some flowers, or a nice, ripe tomato, or your kids having fun in the pool. Feast upon a good book, read together, while sitting on a porch swing, or on top of a sand dune, or in a tent in your back yard. Feast on the stars, God's handiwork. This Saturday, the 11th, is the peak of the Perseids meteor shower. Make it a point to go outside, lay on your back, and watch. What an amazing thing to see a shooting star! Make it a memory together. So in case you haven't figured it out, to me, August = Summer. Take an hour, a day, or even a week. 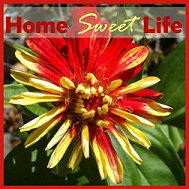 Enjoy the bountiful, warm weather, and make some family memories. Then when your kids grow up, they'll have a word to associate with "August."